Contemporary Textile Studio Co-Operative Inc. 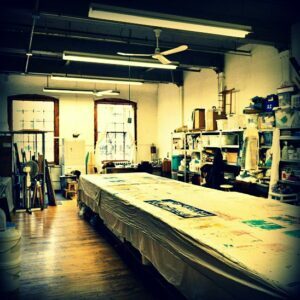 The Contemporary Textile Studio Co-operative was developed in 2006 by a group of textile artists and craftspersons in Toronto to provide access to affordable and properly equipped studio space. Through our 1200 square foot studio, members and associates work, teach, learn, interact and innovate with other designers and artists, and the community.